Before I set off on my East Sikkim trip, one of the things I checked was a map of our scheduled itinerary. And one part of the trip was quite intriguing, even in something as two-dimensional as Google maps. 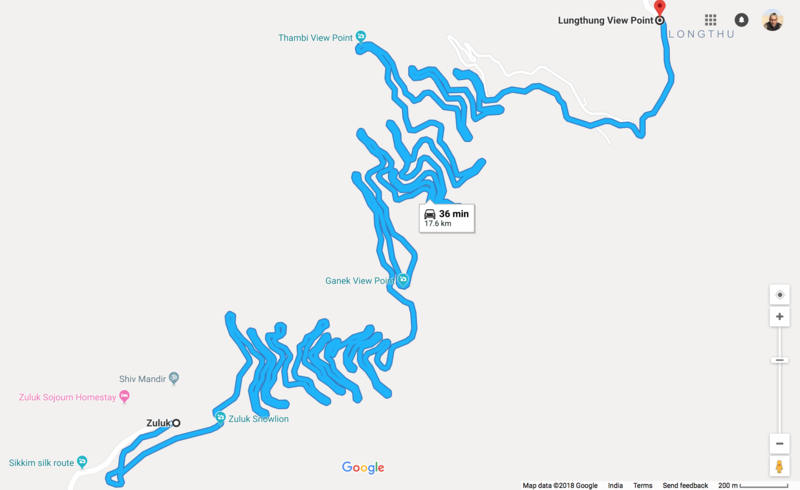 I counted 32 hairpin bends on this climb from Zuluk (9150 ft) where we would be staying to Lungthung (12050 ft), enroute Kupup (13600 ft) which was the furthest that we would go on the trip. As I didn’t really have time to research this further, I just filed away that information and didn’t really think much about it till we started the drive on our first morning in Zuluk. In hindsight, I ought to have as it would have ensured that I was better prepared for what was in store. Our focus was on birding and as we climbed up from Zuluk, our eyes were constantly scanning the sides of the hills looking for one of the target species on our list. Occasionally, my eyes would stray and I would catch a glimpse of the switchback roads that we had just climbed and gasp. It would have taken a lot of effort for this to have been built. While reading about such switchback roads across the world, after I got back, I came across this interesting link. 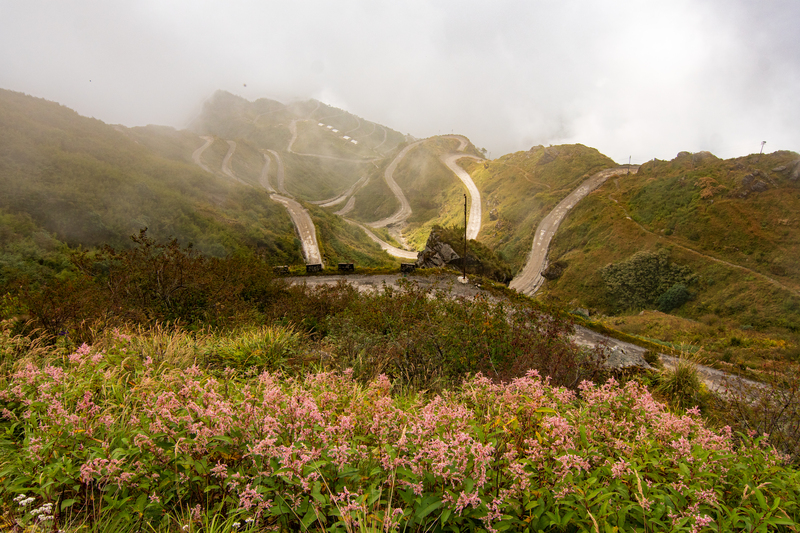 https://www.dangerousroads.org/rankings23/4935-the-most-famous-hairpin-turns-roads.html. 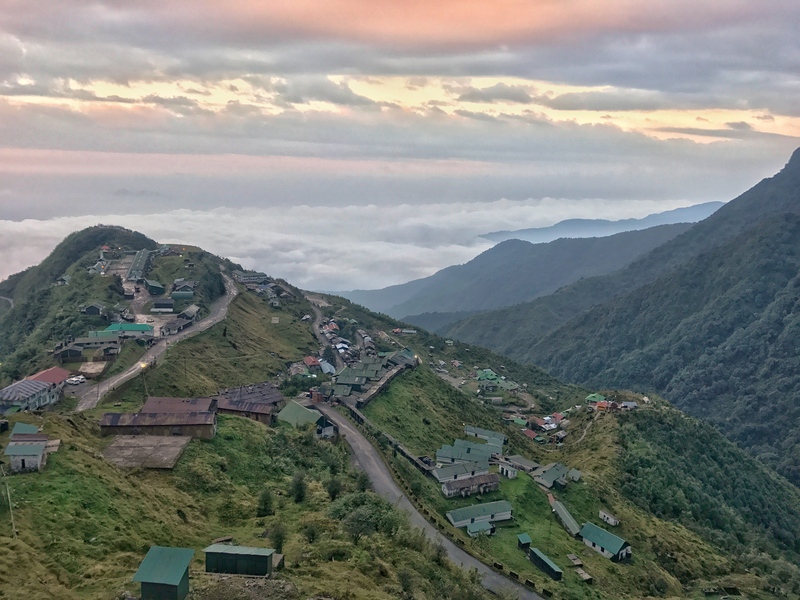 And the Zuluk – Lungthung road is one of the two in India on this list. 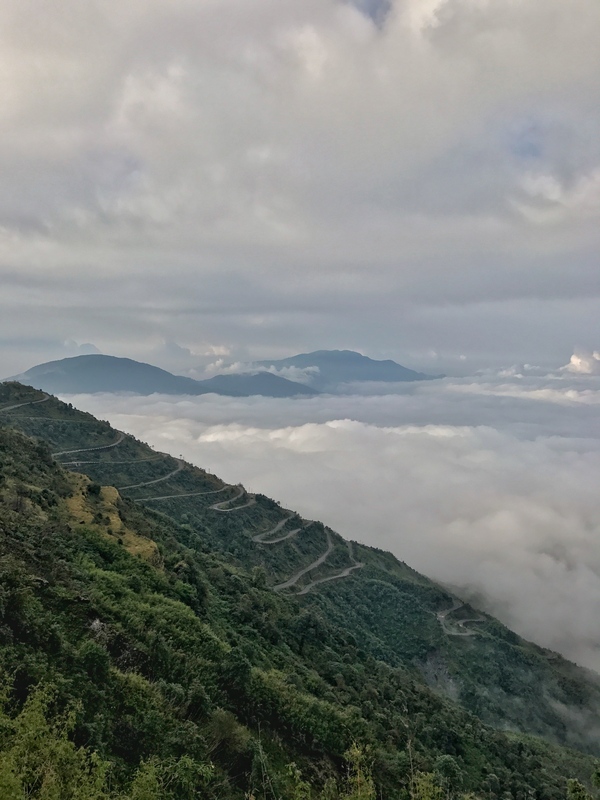 Unfortunately, both the times we made this trip up from Zuluk, the weather wasn’t very amenable to photography, with rain, mists and clouds spoiling our fun and making a clear view of a very scenic road quite impossible. Would have to go back up there another time and try my luck again. Looks like a maze of unconnected roads from this point that seem to lead off into different directions. The nearest one travelled on switchbacks was to Leh from Manali. Very similar. We (as in the family) are doing Bhutan next May, 19-27. And looking forward to that one.